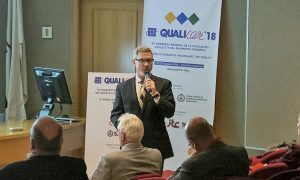 At Qualicer ‘18, XV World Congress on Ceramic Tile Quality in Castellón, Spain in February, International Masonry Institute (IMI) Illinois Director Scott Conwell talked about the architect’s role in influencing quality through all stages of project delivery during a panel discussion with Spanish architects Alejandro Rubert and Angel Pritarch. 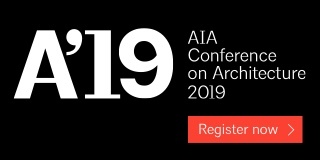 Read Conwell’s full paper on the topic, “The Role of the Architect as Communicator and Collaborator on Ceramic Tile Installations,” found at https://bit.ly/2EZVDxx, or enjoy highlights from his presentation below. Throughout design and construction, the architect relies on material suppliers, standard-writing bodies, and labor organizations to ensure a successful tile project. Architects can establish quality assurance expectations at the beginning of a project with an informed approached to the preparation of construction documents, specifically, drawings and specifications. Drawings are quantitative. They show the dimensions of rooms to be tiled, and often include schedules that assign certain tile to certain rooms or spaces. Drawings should also address special conditions that require graphic clarification, like transitions and terminations of tile finishes. Specifications are qualitative. They define the type of tile to be used on a project through proprietary information, physical properties, or performance characteristics. 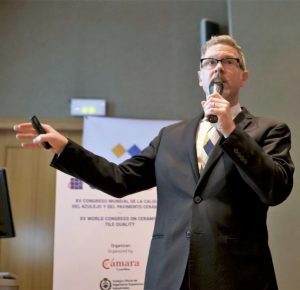 At Qualicer ‘18, XV World Congress on Ceramic Tile Quality in Castellón, Spain, IMI Illinois Director Scott Conwell talked about the architect’s role in influencing quality through all stages of project delivery during a panel discussion with Spanish architects Alejandro Rubert and Angel Pritarch. Drawings and specifications should effectively communicate design intent to the installing contractor and define the quality of the work. With today’s fast-paced production schedules, it is not always feasible for architects to draw elevations of every room that receives tile, or to detail every special condition of the tile work. Instead, architects often rely on general notes, schedules, and referenced standards in the construction documents. Used responsibly and with caution, references can be an effective way to ensure industry requirements are met. That said, many architects use references too liberally or too generally in an effort to save time. References should be limited to actual conditions on the project and be tied directly to the respective conditions using notes or schedules on the drawings. Selecting premium quality tile, setting materials, membranes, and grouts is also important to a project’s success. Good materials and design, however, are not enough on their own to guarantee success. The fate of a project also rests heavily on the skills of the contractor and installers. 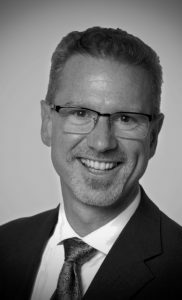 Architects have a contractual duty to owners to deliver quality installations, which is why it is so critical to set qualifications for the contractor and tile installers in specifications. Tile industry organizations in the United States have made strides to develop a unified set of qualification requirements for labor. Today, the Tile Council of North America (TCNA) Handbook for Ceramic, Glass and Stone Tile Installation has cited Union Journeyman Tile Apprentice Programs, TCAA Trowel of Excellence certification, IMI Contractor College, and other industry programs as recommended qualification criteria (Such as CTEF Certified Tile Installers and NTCA Five Star Contractors – ed.). 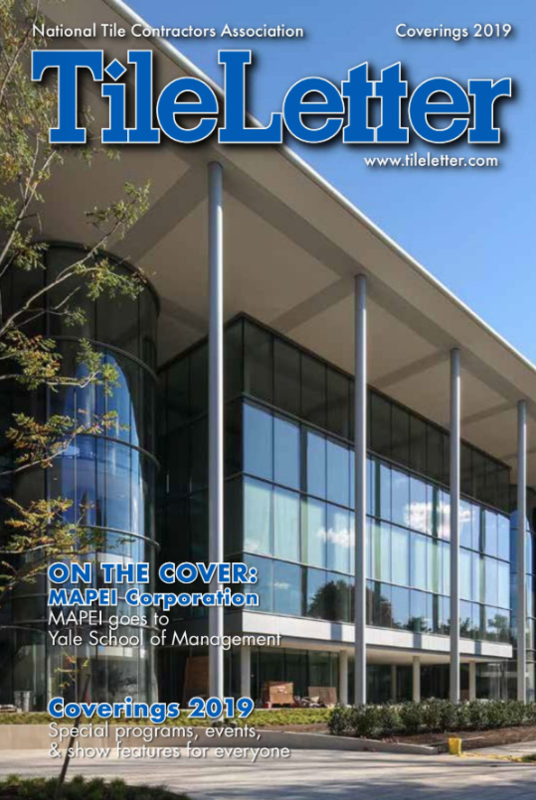 MasterSpec, a company aligned with the American Institute of Architects (AIA), uses similar language in their master guide specification. 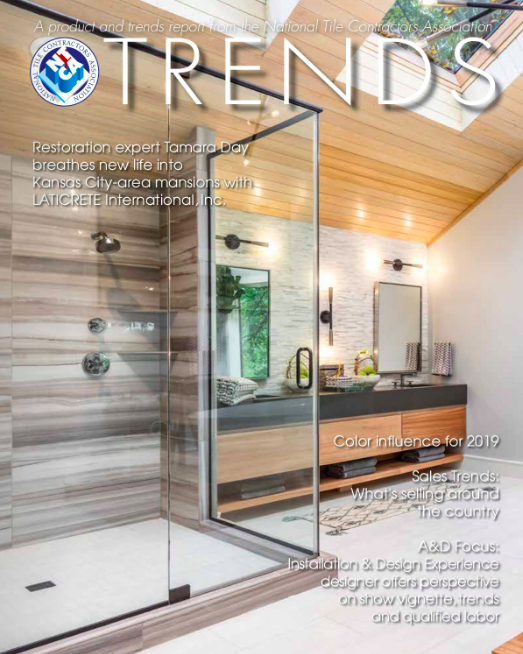 One of the best indicators of a qualified installer is the Advanced Certifications for Tile Installers (ACT Certifications), an industry-wide program that measures the skills of installers in seven distinct skill areas: large-format tile; membranes; mud floors; mud walls; shower receptors; gauged porcelain tiles and gauged porcelain tile slabs/panels; and grouts. Architects are advised to require ACT-certified installers on projects with a concentration of work in one or more of these high-skill areas. Once the construction documents are complete and the tile work is awarded to the tile contractor, the project transitions into construction phase. During this phase, architects should offer quality control (QC) by enforcing and fulfilling the requirements for quality set forth in the design phase. During construction, the architect observes the work and oversees a variety of construction administration processes like reviewing submittals, reviewing substitution requests and other changes in work, and approving contractor payment requests. Conwell said one of the best indicators of a qualified installer is the Advanced Certifications for Tile Installers (ACT Certifications), an industry-wide program that measures the skills of installers in seven distinct skill areas. During the construction phase, the architect’s primary role is reviewing the tile work in progress and checking it for conformity with design intent. If the architect developed the construction documents to a high level of completeness, precision, and consistency, it is unlikely that significant issues will arise in construction. If essential information in the construction documents is unclear, contradictory, or incomplete, however, the architect is called on to make clarifications and to interpret design intent that should have already been clearly addressed. In this case, the architect must serve as an impartial arbiter between the owner and the contractor. For examples of how an architect may be called to resolve issues during construction, link to Conwell’s full paper here: https://bit.ly/2EZVDxx. The specialized nature of ceramic tile assemblies requires architects to take on the role of communicators and collaborators throughout the design and construction process. All parties involved in a tile project are unified by the shared goal of quality installation. 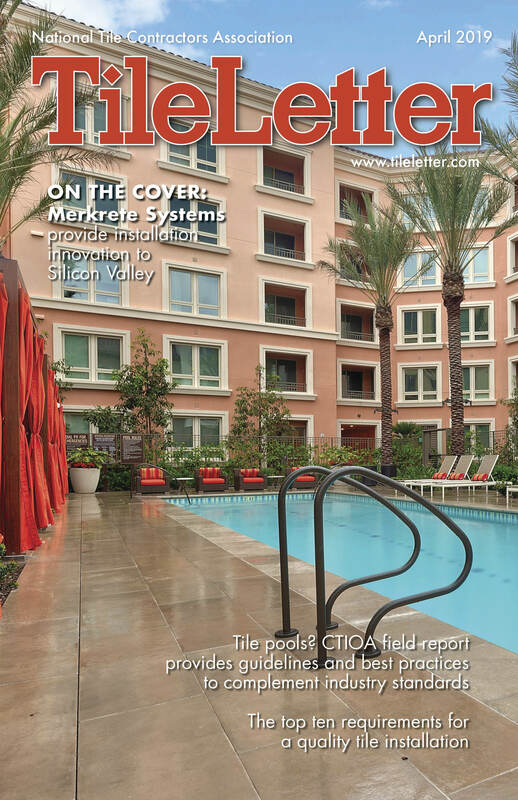 IMI is committed to helping architects complete successful tile projects. It offers support through technical services and continuing education, and provides skilled, highly trained union labor to the tile market. View upcoming tile education opportunities for design professionals at http://imiweb.org/tmt/or contact IMI at http://imiweb.org/4-contact/ for more information.